Porto Moving offers a comprehensive range of international moving services throughout Europe and to most world-wide destinations by road, by sea or by air. at a favorable price and in short time. and comprehensive solution to the entire contract, full service at your current and destination address, transport and logistics. We offer packing, mounting and moving services. We provide a wide variety of packing and wrapping materials optimized to your needs. If necessary, we will demount and wrap the furniture to ensure its maximum safety during the transfer. Your belongings will be load into the truck, special shipping crates or containers and then transported by road, by rail or air, by water or sea. We will pick your cargo up at a warehouse or at the airport and we will deliver it to the destination. After the unloading, we will unpack and mount the furniture. We will set everything up in your new home as you will wish. 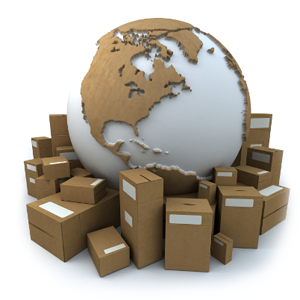 Naturally, we are able to take care of all necessary documentation for import and export shipments. We will give you advice of all necessary and needed to smoothly realize your international removal. If you plan to ship your car overseas, Porto Moving provides a cost effective, safe and comprehensive service for vehicle shipping, including the entire paperwork.